1) What is an executive recruiter? An executive recruiter is a recruiting professional who focuses on filling highly specialized positions. 2) Why should I use an executive recruiter? These are tough economic times, and the job market is changing rapidly. 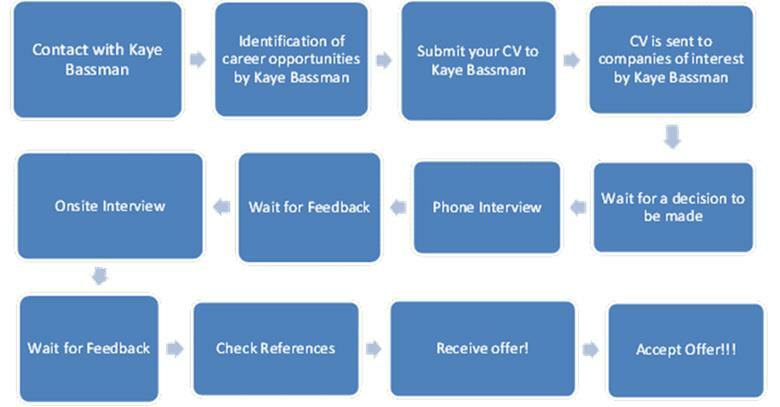 Using a recruiter can help you in many ways. You’ll have access to insider information, your recruiter will represent you to prospective employers in a professional manner, you’ll receive coaching and preparation for your interviews, you’ll have access to non-posted positions, your recruiter will walk you through the entire hiring process, your recruiter takes care of all negotiations for you, and lastly, your recruiter’s services cost you nothing! 3) Why should I use Kaye/Bassman? During the last two decades, Kaye/Bassman has conductednearly 5,000 mid to senior level searches for an unmatched recruiting record. From our headquarters in North America, we’ve helped some of the world’s largest construction and real estate organizations place top talent in essential leadership positions. 5) What levels do you place? We place all levels starting at entry level to executive levels. 6) Will my search be kept confidential? Yes, Your CV/job search will be treated with utmost respect and confidentiality. The only person(s) to see your details will be members of Human Resources recruitment team and the hiring managers involved in the recruitment process. 7) What geographic area does Kaye/Bassman serve? We place globally, however, the majority of the positions we have are in the United States.